Instructor-Led Webinars for those professionals that can't attend our onsite seminars in Los Angeles. Now you may attend our webinars online. These webinars are interactive classes that allow you to take them from your computer. An instructor will be providing a live presentation where you will be able to ask questions and interact with others too. 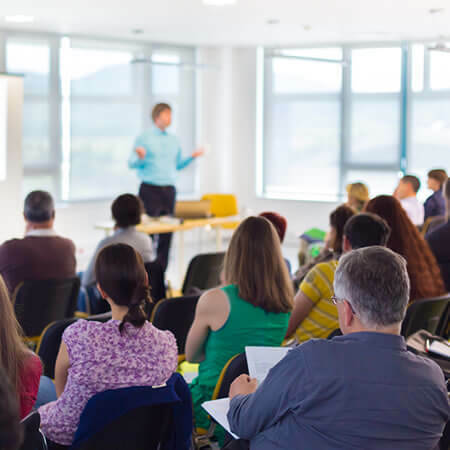 Since 2013, we have been providing our instructor-led continuing education classroom seminars in Los Angeles, California. Our seminars are fun and interactive activities and we do activities you can't do online. In these seminars, you will learn through direct experience and contact with our instructors and other participants. We offer self-study courses online that will allow you to take your continuing education credits from home, any time, any day of the week. There is no need to take the class all at once. Login in as many times as you want. Read texts, Power Point presentation, videos, and take online quizzes. Print you certificate immediately after finishing the course activities.